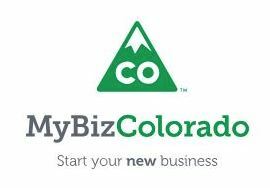 It’s now up and running and welcomes everyone wanting to start a business in Colorado. Because small-business owners stand to benefit the most, NFIB Colorado was the only business association invited to attend the news conference announcing the official launch of MyBizColorado, which now “provides a single path to interact with multiple state agencies, cutting red tape and expediting the process for a business start-up,” according to the official news release. NFIB Colorado State Director Tony Gagliardi joined Gov. John Hickenlooper, Lt. Gov. Donna Lynne, and Secretary of State Wayne Williams for the announcement. Further comment from both men can be heard in the video below, and below it is a report from CBS4 Denver. The Denver Business Journal also covered the story for this report.